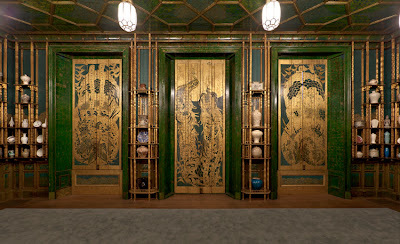 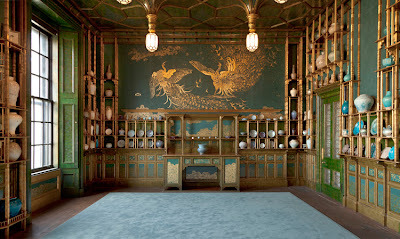 The Smithsonian is finally shedding light on James McNeill Whistler's Peacock Room at the Freer Gallery. 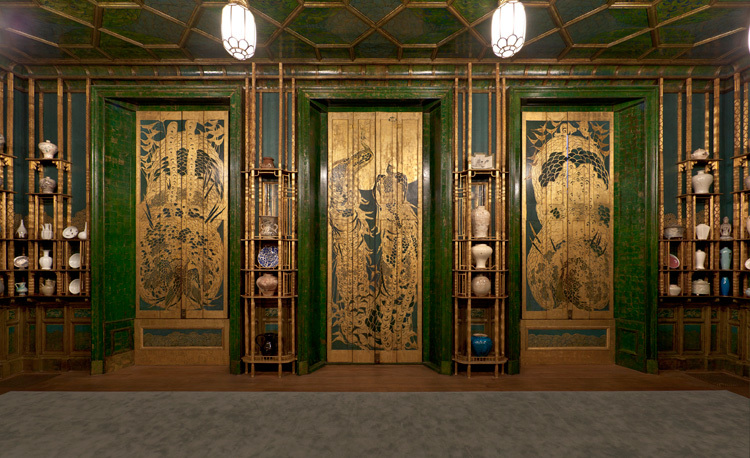 The restored ceramics room from shipping magnate Frederick Leyland's 1904 Detroit mansion has been open in D.C. since April, but the shutters have not. 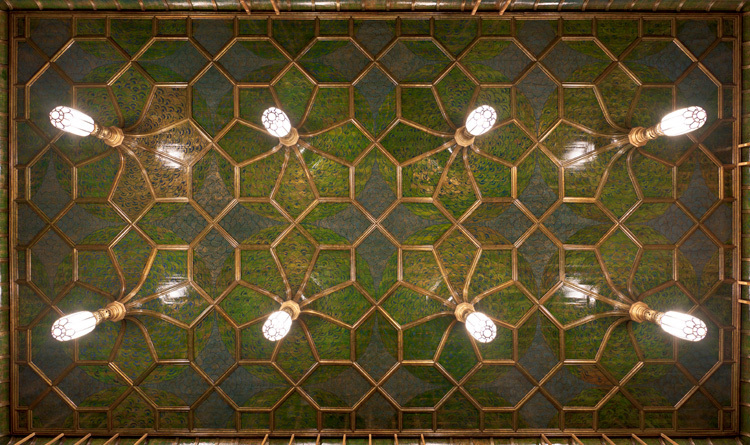 Now, visitors can see the gilt green, pottery-filled master room in its full sunlit glory on the third Thursday of each month (starting this week!). 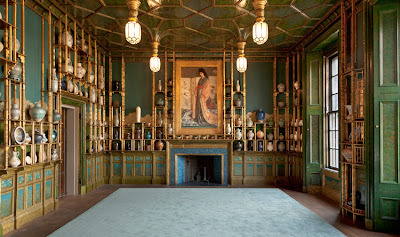 I used to work here, what a lovely but under-appreciated room.